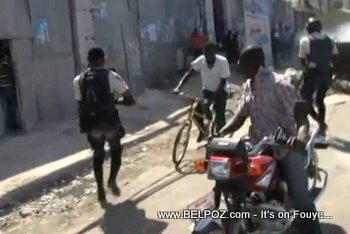 Here is a still photo from the anti preval protest in Haiti on 7 Fevrier 2011. Haitian President Rene Preval announced that he will stay in office for three more months as his Haiti chooses a successor in a delayed election. Police responded as protestors expressed their unhappiness with the announcement.